Keppel Offshore & Marine Ltd (Keppel O&M), through its wholly-owned subsidiaries, Keppel Singmarine Pte Ltd (Keppel Singmarine) and Keppel Shipyard Ltd (Keppel Shipyard), has signed contracts worth a combined value of about S$300 million for the design and construction of an ice-class LNG bunker vessel, refurbishment of a Floating Production Storage and Offloading vessel (FPSO), and 65 scrubber retrofit projects. 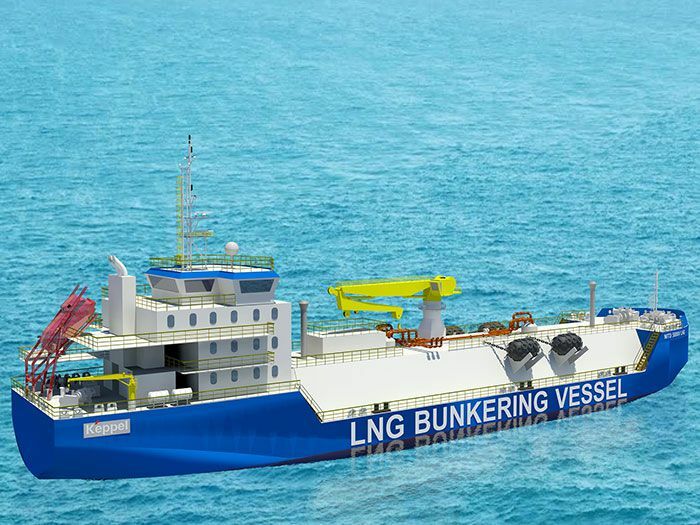 The first contract is by Keppel Singmarine with Shturman Koshelev LLC for the design and construction of an ice-class LNG bunker vessel. When completed in 4Q 2020, the vessel will be chartered to Gazpromneft Marine Bunker Ltd (Gazpromneft) for operations in the Baltic Sea. The contract complies with applicable sanctions. To be built to the MTD 5800V LNG design, a proprietary design of Keppel O&M’s ship design and development arm, Marine Technology Development (MTD), the vessel will have an Ice Class Arc 4 notation and a cargo capacity of 5,800 m3. This project leverages Keppel O&M’s strong track record in ice-class vessels, experience in cryogenics, and comprehensive suite of solutions along the natural gas value chain. Keppel O&M has delivered 11 ice-class vessels to-date and is currently building LNG-fueled vessels including South East Asia’s first LNG bunkering vessel. Previous story New collaboration promotes zero-emission truck deployment in the U.S. Copyright 2013 © NGVJournal a product of NGV Communications Group.